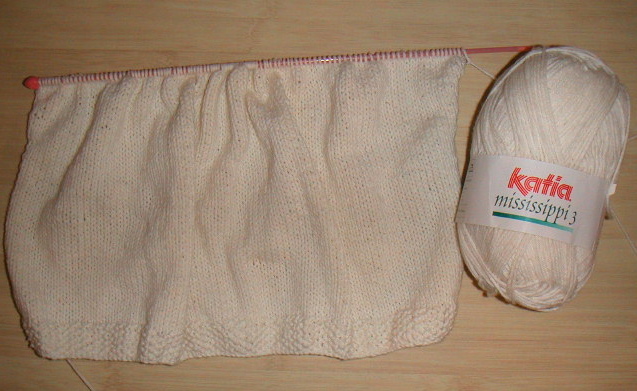 On Friday night, I went to one of my LYS to get some Rowan 4-Ply Cotton for Gracie. I was really dissatisfied with the muted color selection and decided to go with a substitute yarn. I ended up with Katia Mississippi 3 in off white since there weren't any exciting colors in that yarn either. I made gauge and immediately started in on the pattern. Once the moss stitch hem was finished, I was able to start cruising along.